Discover the iconic Victoria Falls and some superb African wildlife. The Hwange Explorer includes 3 nights at the boutique Ilala Lodge in Victoria Falls before moving on for 3 nights deep in the heart of the Hwange National Park – Zimbabwe’s biggest and best known wildlife park and home of the Presidential herd of elephants. Birding in and around Victoria Falls is excellent. Here you have access to rain forest, riverine, savannah and gorge habitats. This relatively small area of the Zambezi National Park and Mosi-oa-Tunya is easily accessible both by boat and on foot. Look out for Rock Pratincole, Schalow’s Turaco, African Finfoot, Half Collared Kingfisher and Thick Billed Weaver. Try some extreme activities in Africa’s “adventure capital” or simply relax, walk in the rain forests which overlook the falls, take a spa or enjoy afternoon tea – choice is yours! November to March – summer months. Hot and sunny with short, heavy rain storms in the afternoons. This is the best time for birding when the intra-African and Palaearctic migrants are around and resident species in full breeding plumage. Like to stay a bit longer? Add on a few nights and explore further into the south of the Hwange National Park or combine the Hwange Explorer with the Mana Pools Explorer Safari . 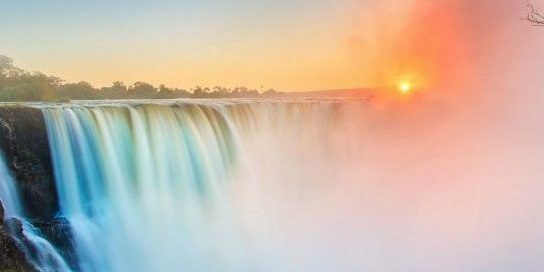 For ideas on activities during your stay in Victoria Falls, browse our Victoria Falls Network of ideas. 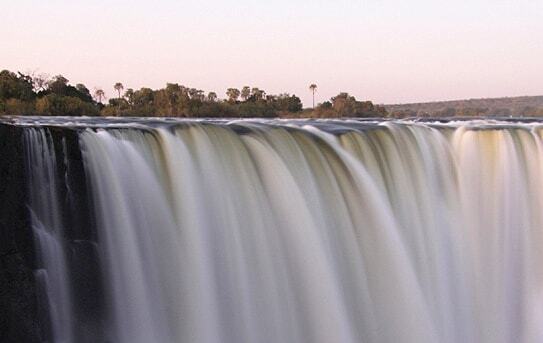 Victoria Falls is a magnificent curtain of falling water on the Zambezi River. The spray is so high a raincoat is handy on a walk through the rainforest surrounding the Falls. Keep an eye out for the beautiful birds that live in the lush vegetation. Walk around the village market and shop for curious. 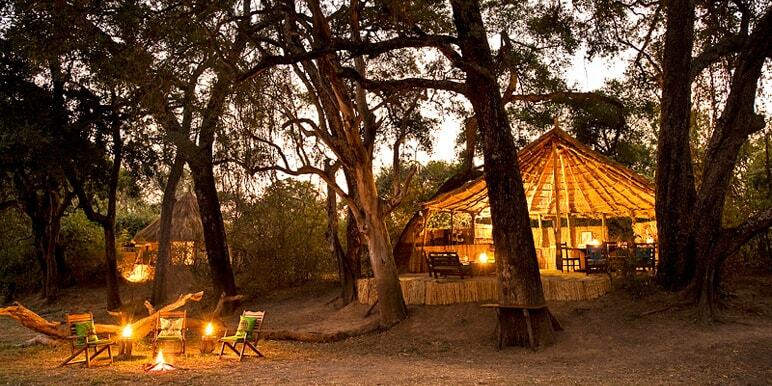 Sip sun downers on the Zambezi River. The road transfer to Hwange National Park passes through local villages, and is a good opportunity to see Zimbabweans going about their daily lives. 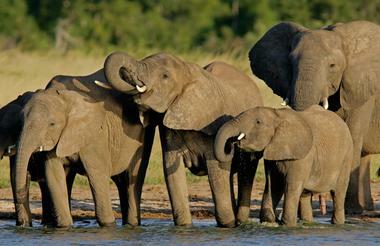 Zimbabwe's Presidential herd of elephant live in this area of desert dunes and savanna lands, rocky outcrops and sparse forests. Some of the big game resident in this area are giraffe, elephants, buffalo and lion. 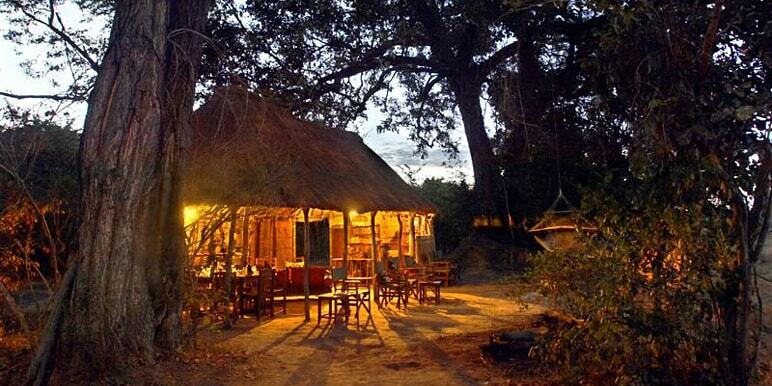 You're met on arrival and transferred to Ilala Lodge in the heart of Vic Falls. Check in to your deluxe room bed/breakfast. Enjoy a sunset cruise on the Zambezi River aboard the quaint Ra-Ikane. Breakfast followed by a guided tour of the magnificent Victoria Falls. Tonight enjoy a dinner at the Boma, an extravaganza with a range of western and African foods, dancing, drumming and fun! Road transfer to our small owner run Camp Hwange in a remote region of Hwange National Park. 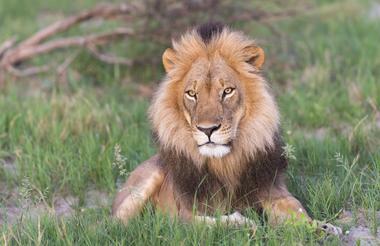 Meet your hosts and guide and get out on your first thrilling afternoon game drive. Zimbabwe’s biggest reserve is home to a profusion of wildlife, including giraffe, lion, zebra and approximately 40 000 elephants. 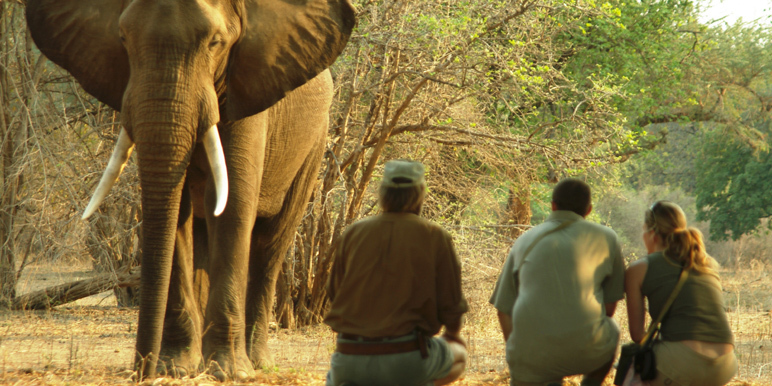 You'll have a safari of a lifetime with our professional safari guide. A final game drive back to the main road and then on to Victoria Falls Airport where you'll connect to your ongoing travel arrangements. By air from Johannesburg, Lusaka or Harare to Victoria Falls. Please ask your Zambezi consultant if you would like to book your flights. Zimbabwe has an impressive road infrastructure by African standards particularly between the major centres. Car hire is available but expensive. Many regional clients successfully self-drive into Victoria Falls via Zimbabwe, Zambia or Botswana. Hwange National Park is on the north eastern border with Botswana and part of the same eco-system as Chobe National Park, well-known for extraordinarily large herds of elephants. 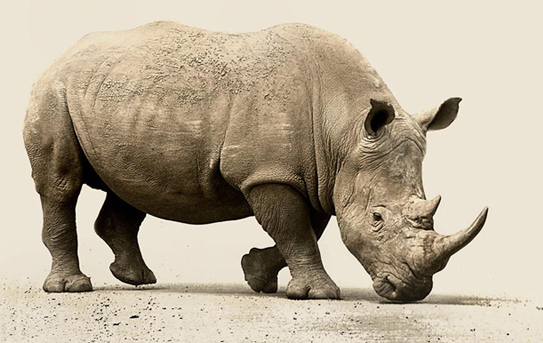 The park is home to over 100 mammal speeices, including lion, leopard and rhino. "Zimbabwe – August Hi Trish – just to say the Zim trip was superb! Chilo Gorge is up there with the best lodges I’ve stayed in and staff were top"
"Dear Ang, The trip went well, very well. Every thing was great, more, to be honest, the trip has gone better than I expected. If you want I can describe"
"Victoria Falls in September: It was an experience of a lifetime.  I can’t say enough about the entire staff being superb. Everyone was so accommodating. Being greeted by Denzel, who"
A typical 8 day safari which combines remote spots in both North and South Luangwa – suitable for families and small groups.